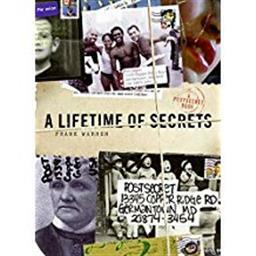 For the past three years Frank Warren has invited people of all backgrounds and nationalities to send him creatively decorated postcards bearing secrets they have never before revealed. He has shared these PostSecrets on his award-winning blog www.PostSecret.com in an internationally traveling art exhibit and in three electrifying books: the bestselling PostSecret My Secret and The Secret Lives of Men and Women. Now in his most extraordinary book yet Warren again delves into our collective confessions presenting a never-before-seen selection of provocative and moving PostSecrets. A Lifetime of Secrets lays bare our private fears hopes regrets and desires from people as young as eight and as old as eighty. From painful admissions of infidelity to breathtaking revelations and endearing sentiments Warren's latest collection will shock and move readers of every age revealing secrets that have haunted their creators for a lifetime.